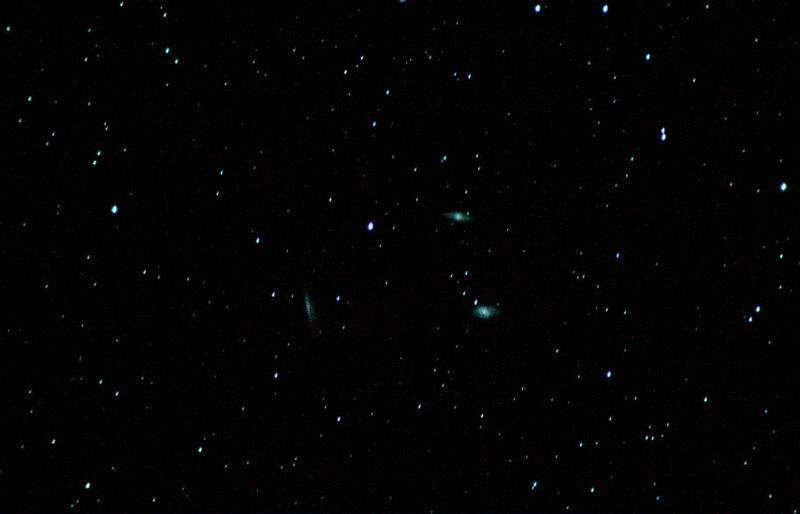 M66 is one of the Leo Triplet of galaxies seen in this image taken by Chris Newsome on the 28th February 2006. M66 lies at the lower right of the triplet, which also includes M65 at the top and the edge on galaxy NGC 3628 at lower left. The image was taken with a Canon EOS 300D camera at the prime focus of a Skywatcher 80T refractor and comprises eight 150 second frames at 800 ASA, calibrated in Maxim DL and processed in CS2 using just RGB levels and curves. An Astronomik CLS filter was employed to reduce the sodium light pollution. 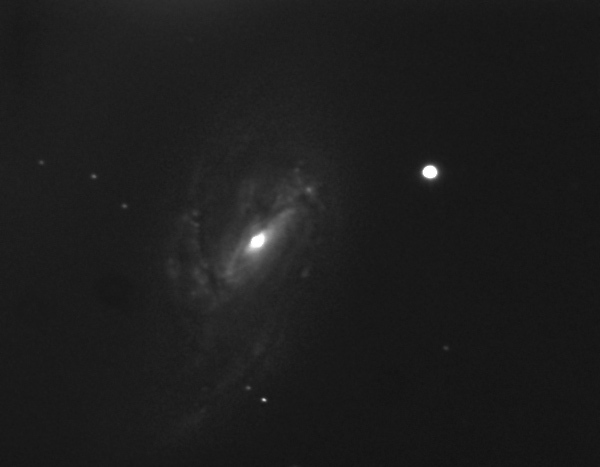 Adrian Brown took the following image of the spiral galaxy M66 in Leo on the 14th May 2005. He used a monochrome ATK-2HS camera and a Celestron C11 scope. This is a stacked composite of twenty-five, forty-five second exposures and some detail in the spiral arms is starting to appear.